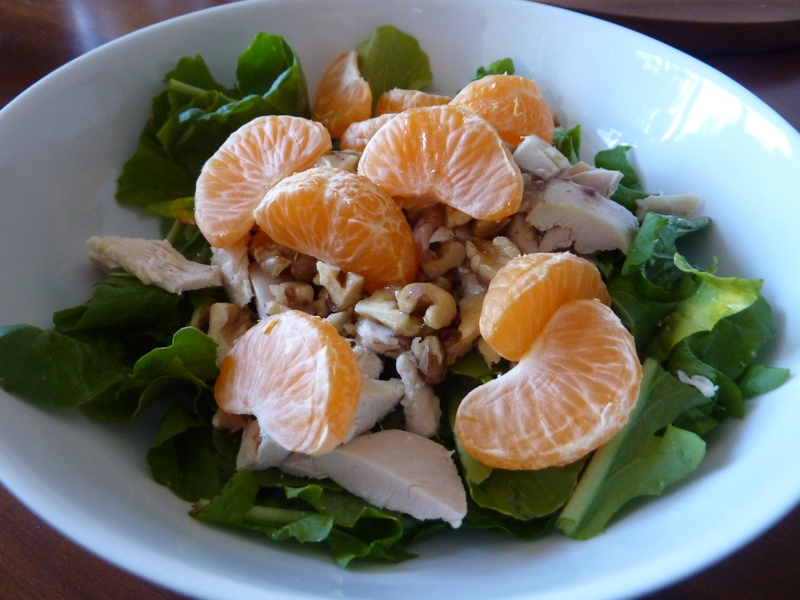 My simple salad for lunch: chopped arugula, leftover chicken, 1 clementine and chopped walnuts with Newman’s Own Light Cranberry Walnut Vinaigrette. Next time I will cut the clementine sections in half to ensure I get a piece with every bite and so the citrus can add to the dressing. Either way a delicious, and quite photogenic, lunch! This entry was posted in Culinary Adventures, Musings and tagged easy, Lunch, Salad. Bookmark the permalink. Looks tasty. I have never thought about clementines in salad, but let me tell you I am now going to try it. My family loves mixing grapes in their salads. All of that looks so delicious.